Propagation of the Faith Boston: Did Your Christmas Wishes Come True? Did Your Christmas Wishes Come True? 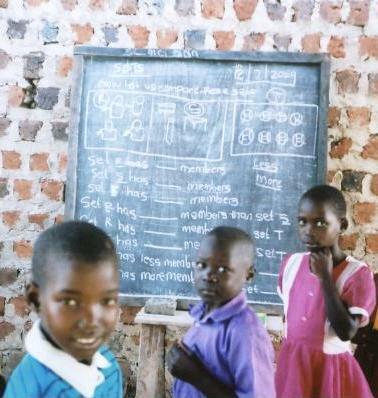 For children in the Ugandan Diocese of Kasana-Luweero, the answer is a resounding “Yes!” While most of us were dreaming of some new gadget or toy, the students served by the Apostles of Jesus Missionaries were thrilled to receive exactly what they needed –desks for their school. Their education had humble beginnings just a few years ago – a sympathetic villager who knew how to read and write gathered local children under a tree (in their time off from working their parents’ farms) and began the most basic of lessons. This generous woman taught them how to write their names. 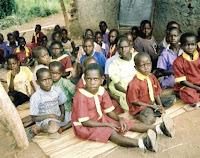 Wanting to do more, the self-appointed teacher tuned to the Apostles of Jesus, an Order of missionaries founded in Africa just 42 years ago, and asked for a proper school. 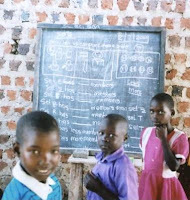 Before long, the children had a roof over their heads and mud brick walls on which to hang a blackboard; they sat on straw mats on the dirt floor to do their lessons. Soon, the Apostles of Jesus were able to send 3 Sisters, trained as teachers to head the school and continue the village mission. With the Sisters also came a nurse who began the Queen of the Apostles Medical Center, serving the basic health care needs of all. These simple steps were taken by missionaries whose work is directly linked to you, our donors. The Apostles of Jesus (AJ) are participants in our Missionary Co Operative Program which assigns a mission group to speak in every parish in the Archdiocese each year. In addition, through Mass Offerings and Altar Supply donations sent from our office to one of the AJ seminaries in Tanzania, we can be sure that more missionary priests are being trained to further the work being done by the Order. 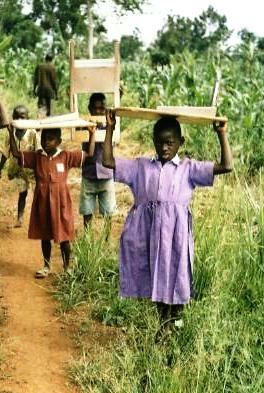 The children were so excited at the delivery of their donated desks, they carried them from the village, through the fields and back to the school themselves. Because the Apostles of Jesus are part of our One Family in Mission here in Boston, Christmas wishes came true a world away. For more information on the work of the world mission of the Church made possible by the Catholics around the globe, go to our website at www.propfaithboston.org.